The PR Lawyer: How did Tiger Woods Do? My friend and colleague, Karen Friedman, shared her thoughts about Tiger Wood's media appearance today. Karen is a fantastic communication coach. An award-winning television news anchor and reporter who has interviewed thousands of people, Karen now teaches others how to make the most out of every media interview, appearance and presentation. Tiger would have done a much better job had he had Karen on his team. Here's what she had to say and I couldn't agree more. 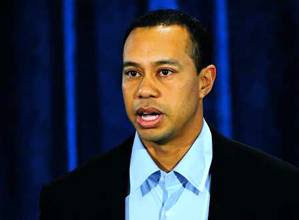 Tiger's public apology is being blasted. Critics say he apologized for too much too late. They say he appeared defensive when he told the media to leave his family alone. And then there was his wife Elin. Well, actually she wasn't there, another strike against him. But let's look at this differently. The mistakes were already made and that can't be erased so let's talk about how he came across. Was he genuine or phony? For someone who didn't want to talk, he did talk and went further than many expected and certainly further than most public apologies. To my surprise, he came across as heartfelt. He looked like a guy who fell down a well and was desperately trying to claw his way back. To his credit, he vehemently defended his wife and also to his credit he blasted the media for bothering his family and implored them to leave his kids alone. Good for you Tiger. I am a former card carrying journalist and am embarrassed to admit the number of families I've been forced to chase in search of ratings. True, Tiger is a megastar who brought this on himself so whether he offered a public apology or didn't, the story was not going to go away. When the time comes for him to return to golf, it will surface yet again. What could he have done differently? If I had advised him, I would have told him to drop the Buddhist upbringing stuff. He said he strayed away from it which might have contributed to his behavior. Who am I to doubt him, but that part didn't sound very authentic. He also went on way too long. Then there was the controlled prompter like read which was almost okay until the camera broke and he could only be photographed from the side which made the event look a little too staged and robbed us of seeing his eyes and expressions so we could decide if they matched his carefully crafted words. In classic crisis communications, Tiger did all the right things. He profusely and sincerely apologized, took responsibility for his behavior and promised to work on his problems even though that was something he should have done months ago. But I'll tell you what was missing. Candor. Tiger should have made a short statement and then immediately taken questions which he should have answered as bluntly as possible. Instead of asking people to believe in him again, this would have shown people why they should believe. Like the saying, actions speak louder than words. Karen Friedman, Pres. Karen Friedman Enterprises, Inc.